If you’re a golfer, there are certain courses around the world that are considered sacred ground. One such layout is the TPC Sawgrass Stadium Course in Ponte Vedra, FL. This Pete Dye-design is where The Players Championship is held each May. The Players is believed by many to be the PGA tour’s fifth major. There aren’t too many courses on the planet whose clubhouse alone will stop you dead in your tracks. Built in 1982, this Mediterranean style icon is no less than 77,000-square feet. This Taj Mahal-like presence has a golf history all its own. A tour will reveal a glimpse into a setting in which former PGA Commissioner Dean Beman’s vision for golf theater came alive. TPC Sawgrass is a historical, agronomical, technological, and fan-friendly marvel. 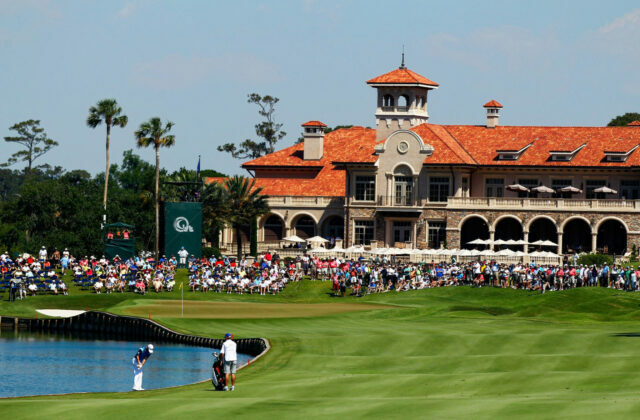 Here are five fascinating reasons for playing TPC Sawgrass. Your home course may or may not be a place where you’re treated to professional conditions. At the TPC Sawgrass, you’ll be delighted to warm up for your round by hitting Titleist Pro v1 golf balls. You’ll love putting and chipping in the shadows of The Players Circle of Champions, a monument revealing past winners’ such as Nicklaus, Mickelson, and Woods. There’s also a TourAcademy instruction facility on site if you’re looking to fine tune your game. 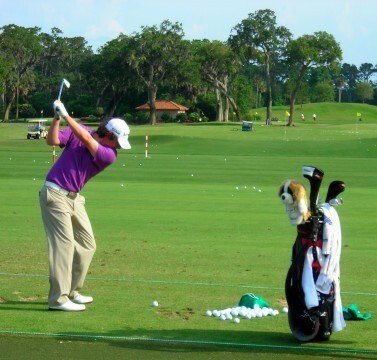 No less than 31 PGA professional players call the Ponte Vedra/Jacksonville area home. It’s a good bet you’ll see notables such as Vijay Singh, Matt, Kuchar, or Jim Furyk honing their games, being fit for clubs, or just having a bite to eat. Maroon-jacketed ambassadors in the clubhouse’s front lobby are present to answer any Sawgrass question you may have. On the days an event isn’t occurring, these affable golf aficionados will be happy to take you for a tour of the Sawgrass locker rooms. Inside you’ll discover an environment dripping in golf history. 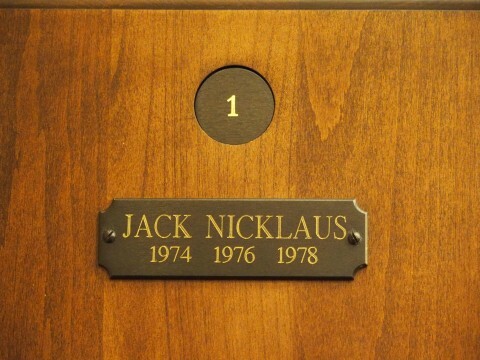 The lockers reveal nameplates of the greatest players in golf. If you’d like to hear a captivating insider story, ask about Terry Bradshaw’s signature moment with Jim Furyk’s locker. One of the best parts of playing TPC Sawgrass is the caddy who joins your foursome. In addition to providing your group with critical course information to help manage your round, each caddy has a story all his own. Many of these loopers have walked side-by-side with the legends of the game. For most golfers who travel near or far to play TPC Sawgrass, there is both excitement and fear in tackling Sawgrass’ legendary 17th hole. Though this par three is a mere 130-yards, the island green is completely surrounded by water. 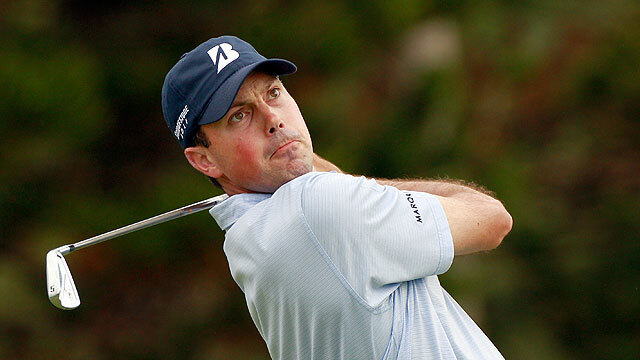 During the 2007 Players Championship, no less than 50 pros landed their golf balls in the drink. This memorable short iron shot will be one you won’t soon forget. If you’ve yet to add the TPC Sawgrass to your golf wish list, there is no time like now. After playing a dream-round at Sawgrass, tell friends you’ve played where the best in the world played before you. It’s also your chance to tame one of the most iconic par three shots in golf. 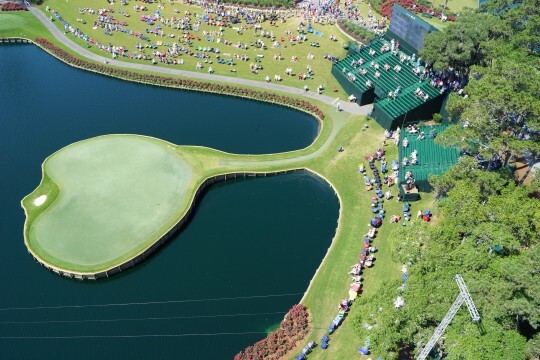 Take the plunge and play the TPC Sawgrass.